O’Bear turned 9. He might say it was his best birthday yet because he spent the day doing two of his very favorite things. Playing baseball with his friends and eating Moe’s Southwest Grill. For me it was the easiest birthday yet. Easy because Moe’s sent over everything I needed with their Birthday Party Package. Tablecloth (kids can color! ), Coloring Sheets & Crayons, Balloons, Moe’s Trinkets, and the best part ~ the Pinata. PLUS catering for 20 people! I chose the Fajita Bar and boy did it comes with all the yummy toppings you would expect plus enough chips and salsa for everyone. That is my favorite part! The setup worked perfect in my kitchen. An area for the hot food, the cold food, and napkins/plates/utensils. I thought all of the kids ate great, even asking for seconds! 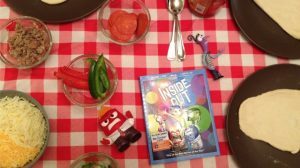 All they kept talking about the entire meal was the part that was coming next…the pinata. They were so excited! The first round we made everyone dizzy and blindfolded. After that they all got to whack at it until it broke. They allll went running fast! The whole evening went perfectly…with almost no cleanup. So nice! Right now 10 Winners will Win this same Birthday Package with Catering from Moe’s Southwest Grill. 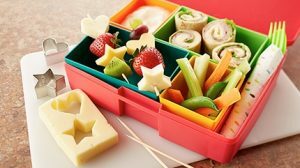 Head to ClubMiniMoes.com where you’ll sign up for their Kids Club with special offers and be entered to WIN this contest! 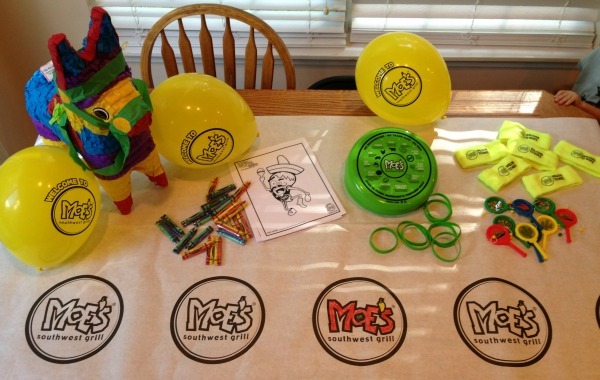 Do you have a child who would love a Kid Birthday Party from Moe’s? 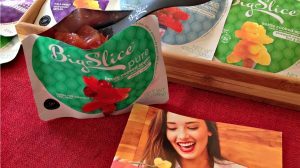 I am a Moe’s Southwest Blogger and receive promotion items in exchange for posting. All opinions are my own. sounds like you had such a fun time! 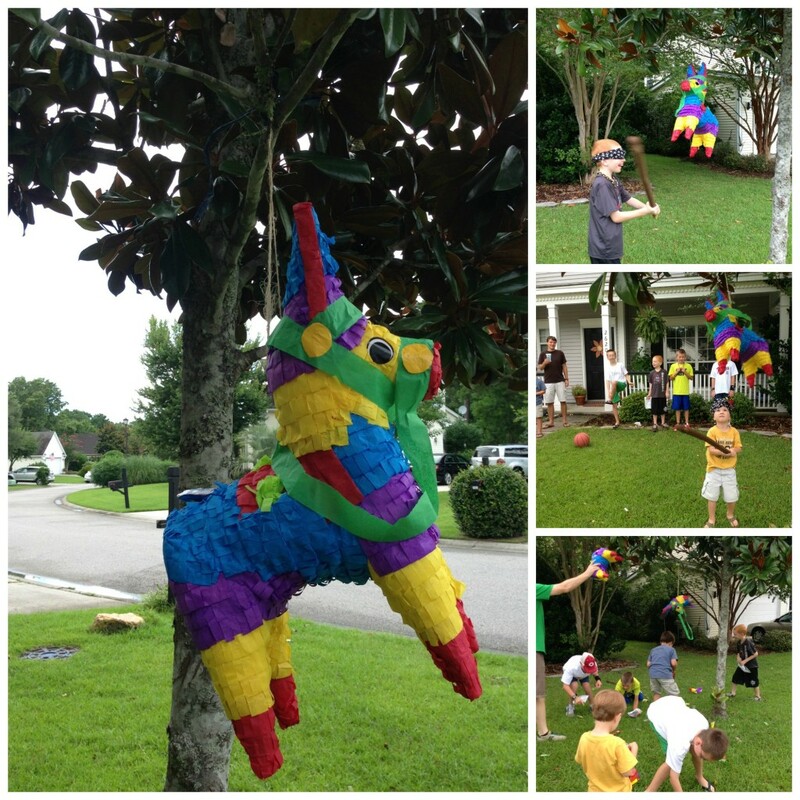 The pinata was certainly awesome!! :) but the food is amazing hands down! What a fun party! I love that y'all love Moe's just as much as we do! I think we eat there just about every single weekend. My grandsons can't get enough of it. My youngest grandson loves the black beans and he's the pickiest eater! We've tried making black beans at home but he knows the difference!! 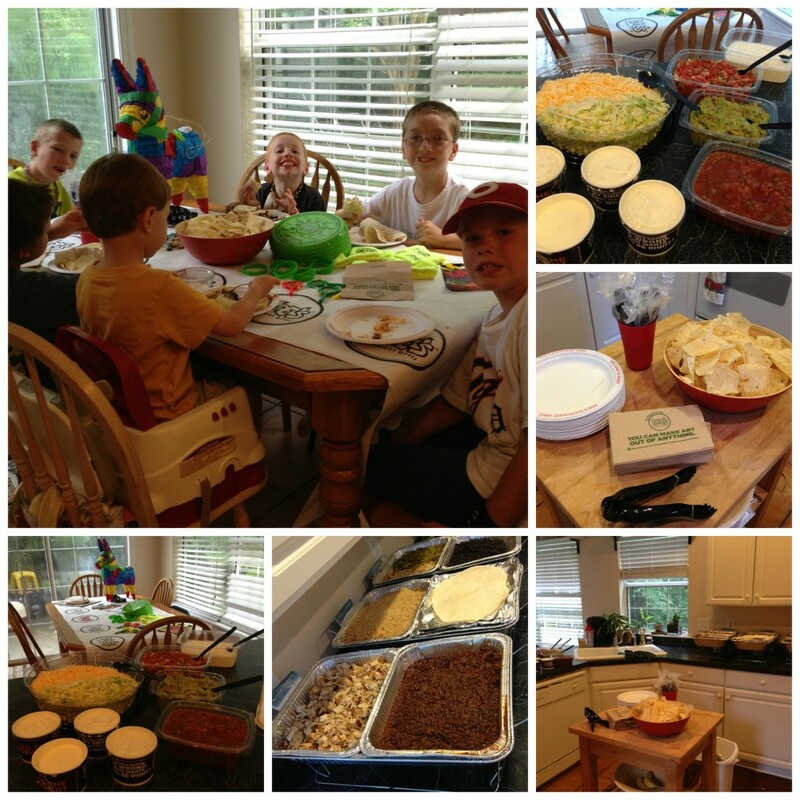 We're definitely Moe's lovers and they would love to have Moe's cater their birthday parties! We love Moe's! I didn't realize you could order this amazing set up, so cool!